Jets making change at OC: Johnny Morton is out, per sources. Two potential replacements: former Steelers’ OC Todd Haley and Jets’ QB coach Jeremy Bates, who was well liked and respected in building last year. The Jets have not had a GREAT offense in FIFTY years so no one is going to PANIC when they are making changes on the offensive staff, but the FREQUENCY of changes in the offensive coordinator for the Jets is ALARMING and explains why they STINK on offense. Todd Bowles was a GREAT hire at head coach at the Jets, but his EXPERTISE is defense, so they needed a GOOD offensive coordinator so they hired Chan Gailey, who used to be the head coach of the Bills. The Jets paired Gailey with FORMER Bills quarterback Ryan Fitzpatrick and what ENSUED was pure MAGIC. The Jets finished ONE game out of the Playoffs in 2015, so both Gailey and Fitzpatrick were RETAINED for the 2016 season. The 2016 season for the Jets was a DUMPSTER FIRE even though the expectations were HIGH. The Jets ended up BENCHING Fitzpatrick at one point, but that did not solve their issues. At the end of the season, the Jets got RID of BOTH Gailey and Fitzpatrick so the cycle was reset for the 2017. The Jets had TWO young quarterbacks on the roster, who they want to be the quarterbacks of the FUTURE, so they brought in pass-happy coaches to develop them for the 2017 season in John Morton and quarterbacks coach Jeremy Bates. In order to MENTOR the young quarterbacks the Jets brought in Josh McCown who would start the season as the starting quarterback and then TRANSITION into being the backup to the YOUNG quarterbacks. UNFORTUNATELY for the Jets, NEITHER of the young quarterbacks proved that they were good enough to be the STARTER, so McCown ended up being the STARTER till he suffered a SEASON ENDING injury late in the season. Bryce Petty ended up REPLACING the injured McCown but did not impress in his SHORT stint as the Jets starter. This season showed us that the Jets quarterback of the FUTURE is not on their roster right now and they will need to EITHER draft a quarterback this season or look for a STARTER in Free Agency. This season was the first season as the offensive coordinator for Morton and he did NOT do a GOOD job with the offense to be brought back for the 2018 season. There are some RUMORS that Morton did not get along with Bowles which is why he was FIRED by the Jets. If this rumor is true than I can understand why Morton had such SHORT stint as the play caller of the Jets. 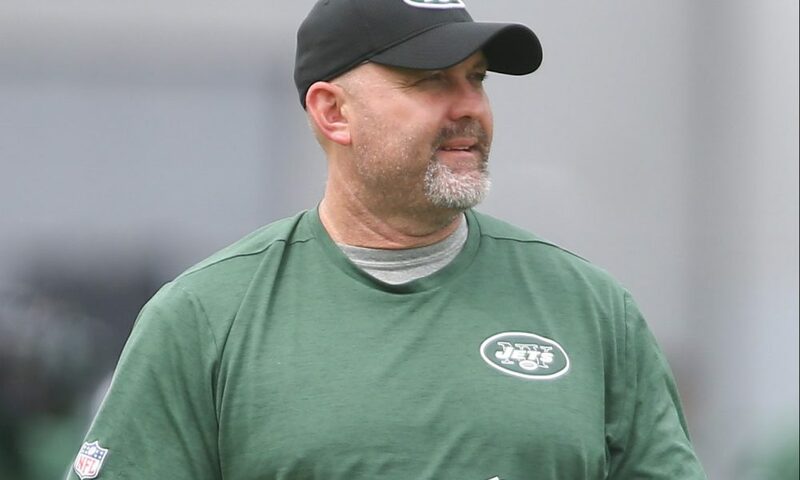 Morton was TERRIBLE with developing the young quarterbacks and the offense had a TERRIBLE season, so I am not going to sing PRAISES of Morton and ask him to come back but I would like to see some CONTINUITY with the Jets. Whoever the Jets hire as their offensive coordinator will be the THIRD offensive coordinator for them in THREE years and that can also HURT the development of the OTHER young talent on offense like running back Bilal Powell and wide receivers Robby Anderson and Quincy Enunwa. Those players have shown that they are going to be STARS in the NFL, but having to learn NEW systems every off season hurts their growth. The Jets are going to go into the 2018 with a NEW offensive coordinator and a NEW quarterback, so in a way that is a GOOD thing. Whoever the new quarterback is going to be learning a new system with the Jets, but maybe it is the same as his previous team in either college if the Jets draft someone or somewhere in the NFL if the quarterback arrives through Free Agency. The possible replacements for the job are current Jets’ quarterbacks coach Jeremy Bates AND recently (by recently I mean yesterday) fired by the Pittsburgh Steelers, Todd Haley. Those are the names that are believed to be TRUSTED by Bowles but we could see a hire out of LEFT field to impress the new quarterback. Bates was NOT great for the Jets this season but he has worked with GOOD quarterbacks in the past like Jay Cutler so maybe if he gets to PICK his quarterback, he will be able to have some success for the Jets. I do NOT want the Jets to HIRE Bates and prefer if they hired someone OUTSIDE of the organization to start fresh for the 2018 season. The PROBABLE out of the organization candidate for the Jets is Todd Haley and I do NOT want him either. He was with the Steelers for a LONG time and they had GREAT offensive talent, but it always seemed that they UNDERACHIEVED. The Jets do NOT have GREAT offensive talent like the Steelers so I think he would really STRUGGLE here if his style did NOT work with the offensive JUGGERNAUT that the Steelers have built. My personal choice for them is the CURRENT quarterbacks coach of the Eagles, John DeFilippo, who has been GREAT in developing MVP candidate Carson Wentz. The Jets are going to need to DEVELOP a young quarterback for the 2018 season and I think DeFilippo would be great for them, but that is not going for the Jets unfortunately. DeFilippo has HIGHER aspirations then being the Jets’ offensive coordinator as he has been interviewed for some of the head coaching VACANCIES around the NFL. IF somehow DeFilippo does NOT get a head coaching job, then the Jets should JUMP on that opportunity and try to sign him, that is the only way their offensive WOES are going to be SOLVED. The Jets are looking to do something NEW on offense for the 2018 season, but let’s be honest it is NOT going to work for them, because that is what happens to them. THEY FLAT OUT STINK.